On Tuesday, Florida’s two U.S. senators–Republican Marco Rubio and Democrat Bill Nelson–teamed up to unveil an amendment sending federal funds to Floridians whose health might have been impacted by toxic algae. 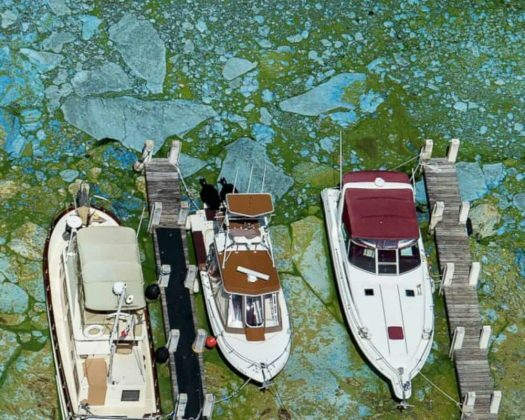 Rubio and Nelson are calling for amending the 2019 Labor, Health, and Human Services, Education, and Related Agencies appropriations bill to send $1 million to Centers for Disease Control and Prevention (CDC) to help Floridians impacted by the algae blooms. “Priority would be given to locations subject to a state of emergency designation within the previous 12 months, which currently includes 13 Florida counties,” Rubio’s office noted. The two senators weighed in on Tuesday afternoon on why they were backing this amendment. Rubio said he intended to use his perch on the U.S. Senate Appropriations Committee to continue to help Floridians harmed by the algae. “As a member of the Appropriations Committee, I will continue to promote measures that bolster Florida’s battle against these blooms,” Rubio insisted. Nelson took to Twitter on Tuesday afternoon and weighed in on how much damage toxic algae was doing to the Sunshine State.